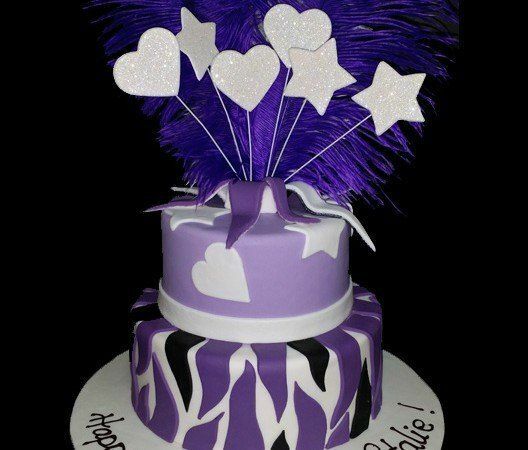 Custom birthday cake solutions are unique and certainly appealing. You might be surprised at how versatile a birthday cake can be. You should especially think carefully about how that cake is going to be designed in terms of its size, how well it is prepared and so forth. You can devise all sorts of unique custom birthday cakes for any person in your life. The best thing about getting a custom birthday cake designed is that it is not all that hard to find a choice that works well. You should look properly to see what you can get out of a custom birthday cake no matter what occasion it might be for. You need to establish a theme for your custom birthday cake. The cake should be designed to where it has a smart theme that relates to whatever the person of honor is interested in. You have to take a look at points like what a person does for a living, hobbies or interests that person has and so forth. This should help you figure out what you are going to do when getting your custom cake prepared. You can always talk with others who know the guest of honor about themes. Try to avoid talking with that specific honoree about the theme as you don’t want to spoil the surprise. The cake should be something for that person to look forward to without being overly predictable in some manner. Fondant is a type of frosting that has become very popular in today’s custom cake industry. Fondant contains sugar and water mixed with gelatin and glycerin. It is applied to many cakes to create a smooth and shiny surface. It can come in one of many colors and is especially edible. Fondant can last for months when prepared and will create an even texture to any cake. Still, you should think carefully about how the fondant is prepared. The fondant needs to be properly flavored with a good texture that is not all that hard for anyone to consume. The fondant should not be too thick either. It can be a few millimeters on top of the cake but it should not be too thick to the point where it might be hard to cut through. Also, anything that is too thick might keep the soft texture of the cake from being as easy to enjoy as it should be. It is often easier to get a shape for a custom birthday cake prepared when several parts are used. That is, you might have to use two or more molds for when you’re aiming to create some special shapes. This is especially the case when you’re trying to create a cake with a numerical shape. You can always consider cutting your cake molds or even creating special customized molds for your shape. You might have to talk with a professional about getting a unique mold devised. Fortunately, the advent of 3D printing has made it easier for such shapes to be created although not all bakers have access to this form of technology. Fruit is great to have on top of a custom birthday cake. That is, the fruit will be added as a decoration that can be enjoyed alongside the rest of the cake. This is great to have but the fruit should be added after the cake is fully prepared and baked. The fruit is only to be used as a topping. Specifically, you should not try to add the fruit into the cake batter or into anything inside the cake. The fruit can cause the cake to become wet. Adding nice and well-cut fruit onto the top of the cake is always a better solution as it makes the cake more appealing and brings about a new flavor. You might want to consider dried fruits for toppings too. Dried fruits are great for how they won’t add moisture to the cake. While sprinkles are popular to add for any custom birthday cake, it may be easier for you to opt for a specific type of candy instead. You can opt for one of various great types of candies for your cake. For instance, you can opt for a series of gummy candies or even some chocolates. These will certainly add some better flavors. Themes may be used in some cases. A series of gummy worms can be used in an apple-themed cake, for instance. Swedish fish may also be added on a nautical-themed cake. Of course, you should not add these candies into the cake before baking it. The candies should be fresh and ready to consume when they are placed on top of a finished cake. Many of the most popular custom birthday cakes are layered ones. That is, they contain individual cake layers that are added on top of one another to create an added flavor or texture. This can be a good option to have but you should always think carefully about how they are to be applied. Make sure when getting your custom birthday cake prepared that you have layers that are appropriately designed and laid on top of one another. You will have to add icing onto each layer separately so they will look appropriate without anything dropping off of the cake. Also, the layers should be reviewed based on how properly aligned the cakes are. A professional can help you out with creating even layers so the cake will look its best. This can work even in cases where the layers come in different flavors or feature varied textures. Your custom birthday cake can certainly be a great thing to serve at a special event but you should look carefully to see that you know what you are doing with it. Be careful when getting your cake ready so you will have a good one for that next special event.